A nose cauterization is a quick medical procedure designed to help prevent any nosebleeds you may see on a frequent basis. Aside from nose bleeds, this procedure is often recommended to help fight any infections and close any open wounds. Depending on your doctor’s preference, he or she will either use a chemical swab or an electric current to cauterize the inside of your nose to help build scar tissue around your blood vessels to essentially seal them and prevent nosebleeds from happening in the future. How much does a nose cauterization cost? The cost of a nose cauterization will depend on a few factors, including which method is used, your doctor, your geographical location and health insurance coverage. As the procedure is often quick and done inside of a doctor’s office, the procedure itself usually ranges anywhere from $75 to $150 for a chemical nose cauterization to as much as $250 to $450 for an electrical cauterization process, including your doctor visit fee without any health insurance coverage. This price could increase if your doctor wanted to take blood work prior to the procedure to check for any underlying issues. As long as the medical procedure is deemed medically necessary, your health insurance should cover the procedure, leaving you responsible for your co-pays and deductibles. For more information, check with your doctor’s office and health insurance policy to know what you would be responsible for. According to one doctor on JustAnswer.com, for instance, he said the costs will vary regionally; however, the average price should be around $50 to $100 for a chemical cautery or up to a few hundred for an electrical cautery procedure. 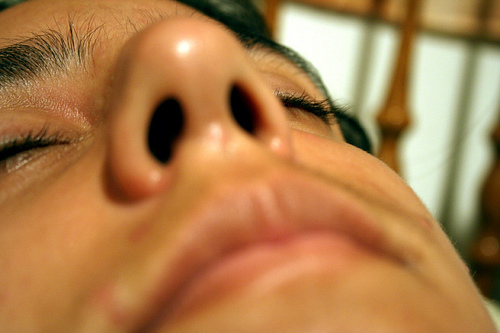 Before the procedure even begins, your doctor will want to examine the nostrils to determine the cause of bleeding. They may also want to take a sample of the blood to determine if there are any underlying issues such as anemia. As for the actual procedure, it is considered to be quick and painless, with two methods considered. If an electric current is used, then your doctor will insert a heated needle with electricity into your nostrils to help seal the blood tissues, while a caustic agent will use chemical reactions to help seal the blood tissues. Each doctor has his or her method and reasoning for their choice, so you will find the methods will vary from doctor to doctor. Before each procedure, your nose will be numbed with a local anesthetic. As detailed by Dan Dickinson on his blog, he stated the procedure at his ENT specialist was quick and essentially painless. During the procedure, a Q-tip-like device is inserted into your affected nostril and a substance, which is at the end of the Q-tip, will be rubbed on the affected area, toughening the tissue. In some cases, as mentioned in the introduction, your doctor may use an electric current as well. When applied, he did note you may feel a burning like sensation; however, the entire process is quite painless as mentioned. From that point forward, about three years later, he did not encounter another nosebleed, with the exception of rare instances when the weather would shift, sometimes causing his nose to bleed. After the process, you may feel an itching and/or slight pain in the affected area, according to MyHealth.Alberta.ca. While most over-the-counter medication can help with the pain, you may feel as if you’re going to want to touch, itch or even pick at the inside of your nose; however, this should be highly avoided as this can cause the nose to bleed. To ensure your procedure is healing as should, you should not touch the nose, particularly inside your nostrils, avoid bumping it, stop any nose-blowing for at least two weeks and if you do encounter a nosebleed, pinch your nose shut for about 10 minutes to stop the blood flow. For the next 10 days prior to the procedure, you will be asked to apply an antibacterial ointment or a saline nasal spray inside of your nose a few times a day to keep the area moist.